Senior author of the paper, Paul O'Higgins, Professor of Anatomy at the University of York, said: "Looking at other animals can offer interesting clues as to what the function of a prominent brow ridge may have been. In mandrills, dominant males have brightly coloured swellings on either side of their muzzles to display their status. The growth of these lumps is triggered by hormonal factors and the bones underlying them are pitted with microscopic craters – a feature that can also be seen in the brow bones of archaic hominins." 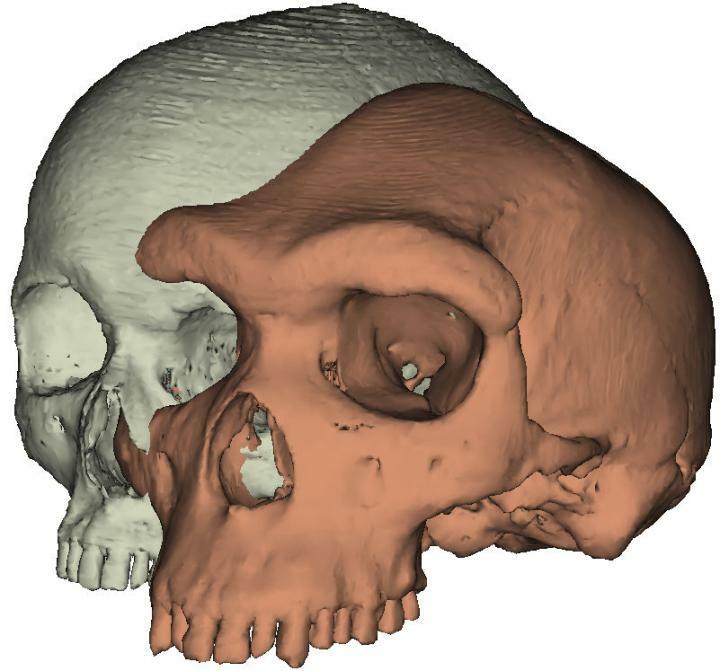 Co-author of the paper, Dr Penny Spikins from the Department of Archaeology at the University of York, said: "Modern humans are the last surviving hominin. While our sister species the Neanderthals were dying out, we were rapidly colonising the globe and surviving in extreme environments. This had a lot to do with our ability to create large social networks – we know, for example, that prehistoric modern humans avoided inbreeding and went to stay with friends in distant locations during hard times.